5 lemons - I loved it so much! 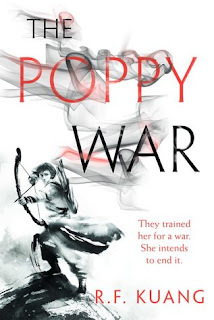 THE POPPY WAR is, hands down, one of the best fantasy books I've read in a long time. Probably ever. This review is long overdue, but if you follow me on Twitter or Instagram, you've already heard me gushing. 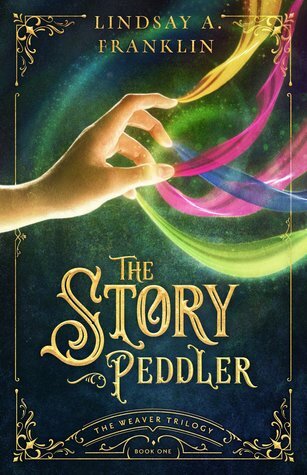 Fair warning: this is not a YA book. Older teens will appreciate a YA kind of feel to the character-driven writing, but the brutality and violence contained therein, the moral and world complexity, put it solidly in adult. It follows the story of Rin, an impoverished girl who lands a seat at a coveted military academy. It's her ticket out of obscurity, but it's also a place where she's pitted in combat, strategy, and day-to-day scraps against the most elite, high bred students in the nation. To get by, she'll have to be as ruthless as the classmates that taunt and torment her--more, because she has something to prove. If only it were that easy. For the academy is also a place that holds the secrets of magic, and a power Rin didn't even know she had. When war from the dreaded island nation across the sea threatens her home, Rin and her friends--and erstwhile enemies--will need every ounce of their ruthless wits to survive. It's difficult to encapsulate the brilliance of this book. It's not over long, but there's an epic, sweeping quality about it that likely comes from Rebecca's academic study of history. She weaves in details of the world and its intricacies like a careful tapestry-maker, adding depth and color without overwhelming the display. The inspiration for her warring nations is drawn from the Sino-Japanese war, a conflict you don't learn much about in American schools, but one that had devastating and long-reaching consequences for Japan and China. Rebecca brings all the weight of her sources to bear, being sensitive to the subject matter while still crafting her own beautiful world from the historical scaffold. Then there are the characters. Rin is immediately likeable. She's a poor orphan from a backwards province, so she has the underdog angle working for her. But she also has an unrelenting ferocity that drew me like a magnet. It gets her through her exams, and it also helps her succeed at the academy, where she learns to become even more ruthless, to work harder, to bleed every ounce of herself. She is active in everything she does, driving the story in increasingly surprising and incendiary ways. She's surrounded by an equally mesmerizing cast. Kitay, a gay noble boy with a quick wit, sharp tongue, and sly, calculating cleverness. And Nezha, my beloved, a high noble who is elegant in his cruelty. He assails Rin from the start with words and fists; their bitter rivalry is the crux of the first half, which follows the familiar boarding school narrative, only with more blood. But here is where the historical gets its fantasy. Rin meets the strange, shiftless hippy shaman Jiang, who talks in nonsense and might be the most powerful magic-worker alive. Through his teachings, she discovers that a god has chosen her for a dark fate. Her burgeoning powers are to be a weapon. It's thrilling to watch Rin grow into her powers, with the added whimsy of schoolyard antics, but this is no Harry Potter. There's always something sinister brewing in the background. The executioner's axe draws near. If the first half is magical coming-of-age, the second is warzone epic. Thrust into combat by the necessity of approaching war, Rin must decide who her true allies, and enemies, are. But it's not as simple as fighting the Mugen enemy from abroad. Rin's mysterious fellow student Altan draws her into the secrets of the last Mugen invasion, atrocities that open her world to a new depth of horror. And "horror" is the truth, because Kuang doesn't shy away from the bald face of war. Her chapter inspired by the Nanjing massacre is one of the most harrowing in fiction. The plot screams breakneck through death and betrayal and horror and bottlenecks breathlessly at one of the most shocking climaxes I've ever read. If you have any love of fantasy, history, good literature, you need to read this remarkable book. At turns witty and biting, scathing commentary and daring adventure, it's a cutthroat epic that pulls no punches, takes no prisoners, and leaves you gasping for more.